The Southeast Produce Council is on a mission to fund scholarships at all land-grant universities in the Southeast region of the U.S. Having already provided for students in Georgia and Florida, the STARS scholarship is now helping agriculture students at LSU. The scholarship program began in 2012 as a way to recruit top students for membership on the council, as well as to introduce them to the many job opportunities that the produce industry offers. Two $2,500 scholarships are awarded on an annual basis to each university supported by the effort. In addition to receiving a monetary award, scholarship recipients are invited to attend the council’s Southern Exposure Conference and Exposition, where they can meet more than 200 produce industry growers and shippers, as well as the nation’s leading retailers and food service distributors. 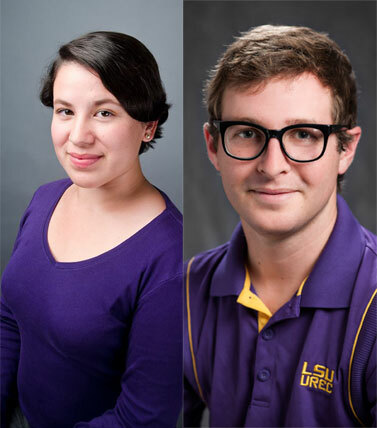 Pazdera joins Myles Thibodeaux as the second set of students at LSU to receive the award. Thibodeaux, a second-year graduate student who plans to work in wetland restoration and management, shared that the scholarship will enable him to purchase a new laptop for school. “Loss of wetlands is a huge concern for all Louisianians,” Thibodeaux said. “I would like to use my education to better serve the efforts to preserve our coast.” The Baton Rouge native said he chose LSU for its culture, proximity to family, climate and professors in the College of Agriculture.